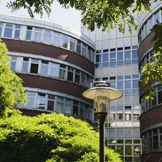 Founded in 2003, the University of Duisburg-Essen (UDE) is an international research university with currently 43,000 students from over 130 countries. 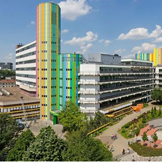 It is one of the largest universities in Germany, located at the heart of the Ruhr metropolis with two main campuses at Duisburg and Essen, and its university medical centre at Essen. Just like the region, the UDE is young, ambitious and ever changing. 11 faculties, Humanities, Social Sciences, Educational Sciences, Economics, Business Administration, Mathematics, Physics, Chemistry, Biology, Engineering, and Medicine provide a broad range of academic disciplines and offer high quality research and teaching. 4 main research areas, nanosciences, biomedical sciences, urban systems & metropolitan areas, and change of contemporary societies foster exchange across disciplines and promote innovative ideas. Our slogan Open-Minded - We as one of the youngest German universities have a fresh way of looking at things. We think in terms of possibilities instead of limitations. Our 11 faculties are working to develope ideas with the future. We are strong on research and teaching, embrace diversity, promote academic potential and fight for genuine educational equality. Our university is dedicated to tolerant and peaceful collaboration. We are committed to treating everyone we meet at the university with respect, honesty and trust regardless of his or her position, nationality, religion, gender or other attribute. 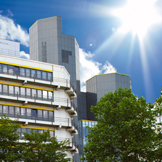 As a member of the University Alliance Ruhr (UA Ruhr), we work together with the Ruhr University of Bochum and the Technical University of Dortmund to coordinate our efforts to encourage the Ruhr as a science region, creating a unique profile, setting priorities and establishing scientific and organizational networks. On international level the UDE is working together with 102 active partnerships worldwide. Thereof are more than 200 ERASMUS partner institutions in Europe.